Central Oregon Fishing will happily take you out to experience Central Oregon’s beautiful surroundings and fisheries. They offer boat lake trips and river wading trips and will take you to chase world class trophies, cast drys to rising sippers or seek out a lurking largemouth. In order to participate in one of their guided trips, an Oregon fishing license is required. They can sell you a 1-day fishing for $16.75. Rates vary based on the length of trip you want (half- or full-day) and the number of people, starting at $350. 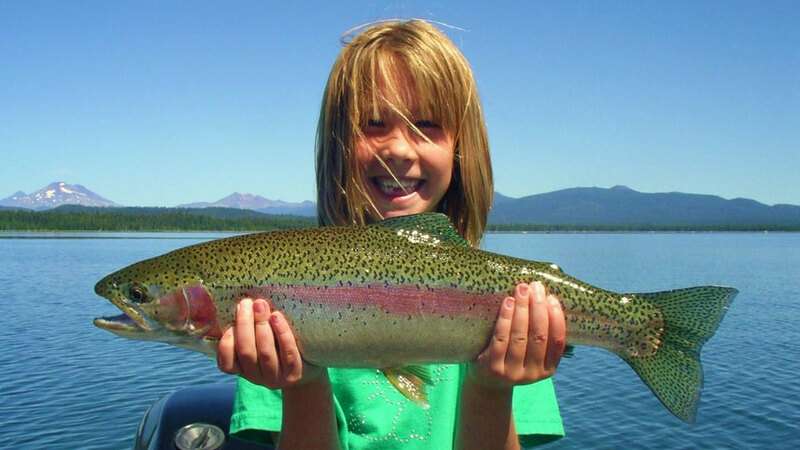 They consider a number of fishing destinations their home waters, from Crane Prairie Reservoir, which provides one of the premiere trophy rainbow trout fly fisheries in the West, to Hosmer, Big and Little Lava Lakes, which provide plenty of fun for anglers of all ages. The same professionals behind Central Oregon Fishing are also behind the Stillwater Shop, a large online fly fishing supply resource.